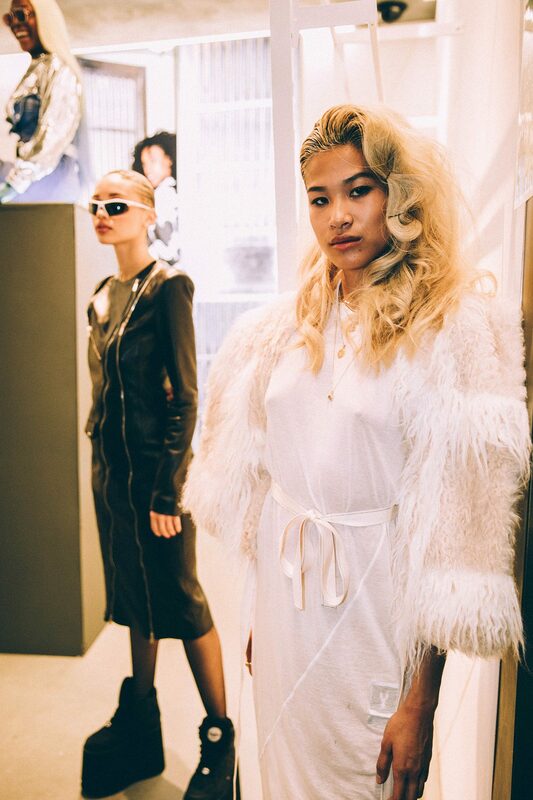 Yesterday, Buffalo London the cult label famous for their signature chunky sneakers made its NYFW debut and reintroduction to the U.S. market showcasing new and archival styles last night on Monday, September 10, 2018 at Next Century in Downtown Manhattan. 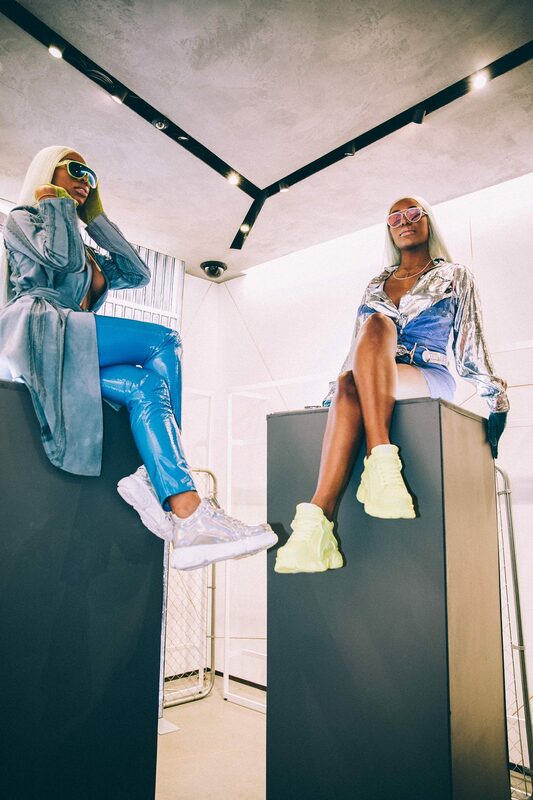 The collection was modeled by streetwear influencers including rapper Vic Mensa, The Clermont Twins, Asian Doll, Jay IDK, and more. American Teen singer-songwriter Khalid attended along with model and close friend Salem Mitchell, model Shaun Ross, and YouTube sensation Denzel Dion. An iconic staple of the 1990s rave culture, Buffalo London tapped Creative Director Ruth Gruca of CALA to bring the legendary footwear label to 2018 with a contemporary edge. 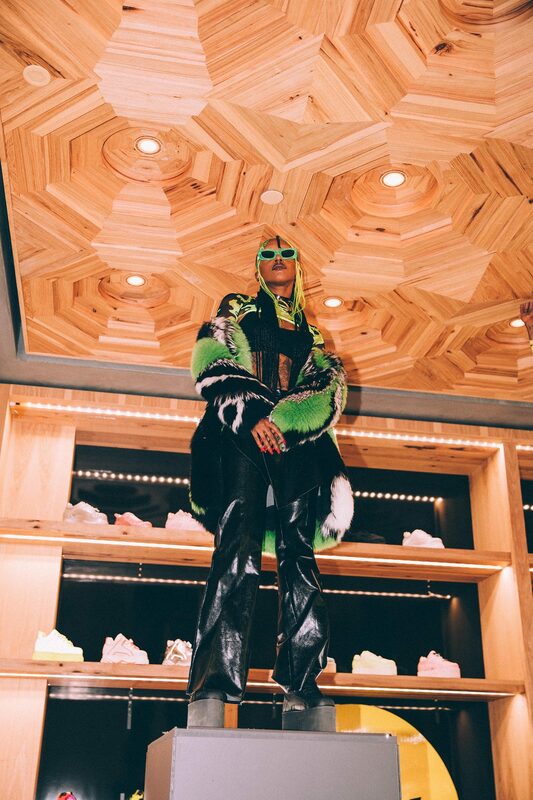 Sneakers were paired with a mix of sartorial streetwear statements for men and women to demonstrate the versatility of the collection as it relates to the 21st century. 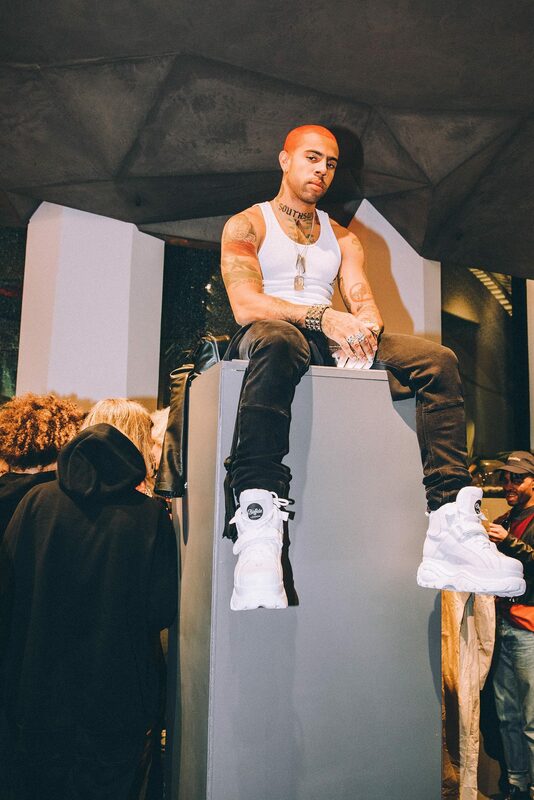 The transformation can be seen on Asian Doll who rocked the Buffalo London Classic in Satin Leopard and on rapper Vic Mensa, who modeled a similar style in white with an understated tank and dark wash, tight-fit jeans. 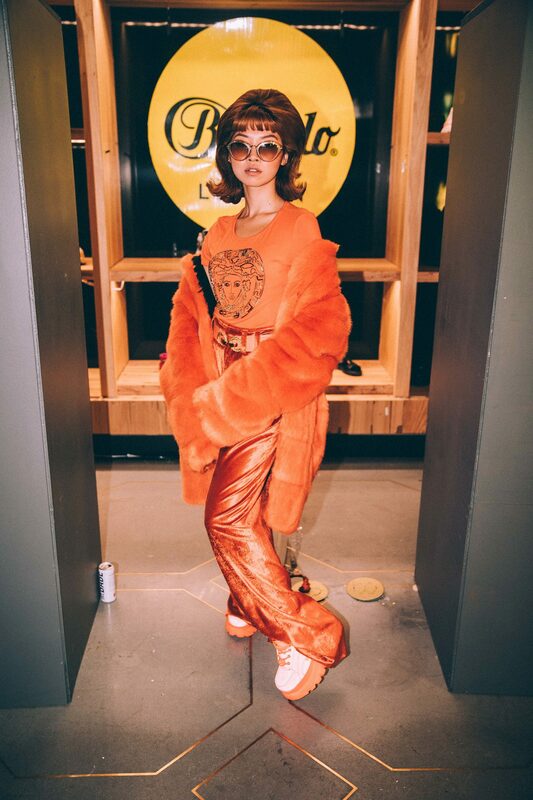 In addition to its re-imagined signature Hightower shoes and Buffalo Classic sneakers, Buffalo London debuted all-new low to the ground styles to appeal to the downtown club culture of today. 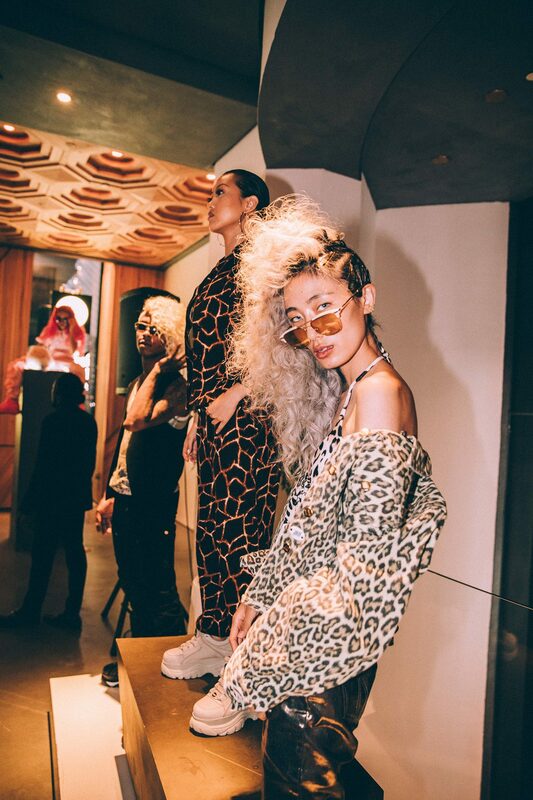 The presentation’s coveted streetwear wardrobe was provided by Next Century, the innovative, experiential concept store for next-gen consumers brought to life by the retail visionaries at Century 21.